The carpet in your rental home needs to be replaced every ten years, or more often if it is not cared for properly. One way to make sure you don’t have to replace the carpet sooner is by choosing a low maintenance, durable carpet. A good Arlington property management company, like Specialized Property Management, can help you update the flooring in your home and make it more desirable for potential tenants. Carpet fibers are the materials used to make the carpet. They will determine how soft and durable the carpet is, as well as how expensive it is. A durable and inexpensive carpet fiber is the best choice for your Arlington rental property management. Nylon is the most common type of fiber. It is durable, easy to clean, and inexpensive. Polyester is typically less expensive and feels soft. However, it tends to be less durable, and Arlington rental property management companies do not recommend it because of this. Wool is a natural fiber that provides a rich and luxurious carpet. It is soft and durable, but it is usually more expensive. The expense makes it not a good fit for rental homes. Olefin is a strong synthetic fiber often used to make outdoor rugs. It is durable but can be difficult to clean when it gets stained. Loop Pile Carpet – Loop pile is just what it sounds like, the pile fibers of the carpet are twisted into loops. These loops can be tight or loose. Tighter loops will be more durable in high traffic areas; they stand up well to stains and pressure from furniture. Cut Pile Carpet – Cut pile is made by cutting the twisted loops of the fibers. Cut pile carpet can be a good choice for bedrooms because it is softer than loop pile carpets, but it does not do well against stains and wear. Unless your tenant desires cut pile, it may not be worth the extra maintenance that comes with cut pile carpet. If you’re looking for an easier way to do property management, call Specialized Property Management Fort Worth. As a full-service Arlington property management company we take care of your property from carpet to ceiling. For a free rental consultation call today! Arlington Residential Property Management: Dallas Market is Growing Fast! As the top Arlington property management company, Specialized Property Management is dedicated to staying updated on housing trends to serve you better. A Metrostudy report recently found the Dallas-Fort Worth housing market is the top new home market in the country. Dallas-Fort Worth earns this distinction despite rising home costs nationwide that are driving down home purchases. On the other side, rents are rising, and the millennial generation is renting longer than previous generations. What does that mean for landlords and Arlington residential property management? 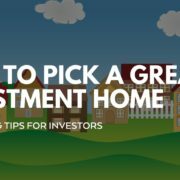 With an abundance of homes at reasonable prices and more renters on the market, Dallas-Fort Worth and the surrounding areas are great places to buy rental property. The rise in renters, as noted by Forbes in a recent report, is important for landlords. With freedom and flexibility as top priorities among the millennial generation, many people see renting as the no-strings-attached way to live. It is easier to pack up and move across the country if you do not have a mortgage to tie you down. The Dallas-Fort Worth area is booming economically, with large companies such as Toyota opening their doors and hiring workers. Workers with families are attracted to the area’s many arts and cultural amenities. They are looking for single-family homes to raise their families. If you’re looking to buy rental property in the Arlington area, you need an Arlington property management company that works for you. At Specialized Property Management we see the renting trends and do the research, so you don’t have to. We get your home rent ready, market, maintain, and much more. For the best Arlington residential property management, call Specialized today. 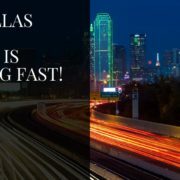 https://specializedfortworth.com/wp-content/uploads/2018/01/10-The-Dallas-Rental-Market-is-Growing-Fast-Arlington-property-management-company-Arlington-residential-property-management-FB_.jpg 628 1200 Valerie https://spmfw.wpengine.com/wp-content/uploads/2017/12/SPM_REV-orange_Logo-300x135.png Valerie2018-01-04 05:00:282018-01-04 10:24:37Arlington Residential Property Management: Dallas Market is Growing Fast! Is Your Rental Home Ready for Winter? With winter weather on the horizon your Arlington property management company wants to make sure your home is ready for freezing temperatures. The last thing you need is a leaking pipe or broken water heater at your rental property. Before the cold weather hits hard take these steps to protect your property. Walk around the house and cover any outdoor faucets or piping. When outdoor faucets freeze they could burst leading to a huge and expensive issue for your home. Depending on the builder, your home may have indoor pipes running through the attic. If so, these pipes will need extra insulation to prevent freezing. Check the attic and cover any pipes with tubular pipe insulation. If your water heater is an older model consider covering it with insulated blankets. If your rental home is vacant make sure you keep the utilities running. Turn the heater on to prevent anything inside from freezing. You do not need to warm the whole house so it is comfortable for guests, just turn the thermostat to above freezing. Regular inspections and proactive maintenance are important steps you can take to protect your home in any weather. Without walking through the home it is nearly impossible to know what needs to be done to protect it from winter weather. At Specialized Property Management we ensure your rental home is taken care of to the smallest detail. With our proven processes and experienced team no Arlington property management company does more to protect your property. Our owner portal allows you to view the latest reports and pictures from recent inspections so you are never in the dark about what is happening on your property. For more information, or to hear about our comprehensive list of services, call Specialized today! 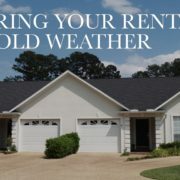 https://specializedfortworth.com/wp-content/uploads/2017/12/10-Preparing-Your-Rental-for-Cold-Weather-Arlington-property-management-company-Arlington-residential-property-management-FB.jpg 628 1200 Valerie https://spmfw.wpengine.com/wp-content/uploads/2017/12/SPM_REV-orange_Logo-300x135.png Valerie2017-11-30 05:00:422017-12-06 05:49:49Is Your Rental Home Ready for Winter? Not knowing local, state, or federal housing laws is an unfortunate, but common, mistake that many landlords make. Being unaware of potential regulatory violations as a landlord can mean serious legal troubles and expenses. You are not only putting yourself at risk for legal ramifications, you may also be putting your property and your tenants at risk. Specialized, your Arlington property management company, knows these laws can be a lot to remember, especially for new landlords. Navigating the system of rental property regulations can be difficult, but it is necessary to protect yourself, your tenants, and your property. We put together this list of important laws, codes, regulations, and general rules to follow as a landlord. Know that the local laws vary widely and change often, so this list is just an example of some of the things you need to be aware of. 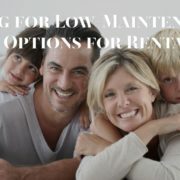 For more information on your specific area call Specialized, your local Arlington residential property management team. With the dozens of laws and codes you need to know, how can you be sure you remember them all and that you’re protected from legal and financial risks? Specialized’s property managers are the experts you need. We help thousands of property owners around the country stay on top of the ever changing laws, ordinances, and regulations. That is our job! More importantly, our local property managers are experts in your area’s specific local laws as well as the state and national laws. You can rest easy knowing your Arlington property management company has you covered. Call Specialized today to hear about all our property management services.